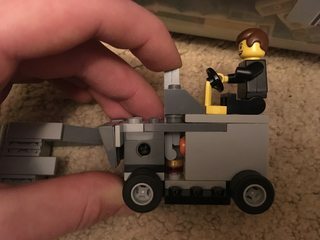 Post your LEGO collections here! 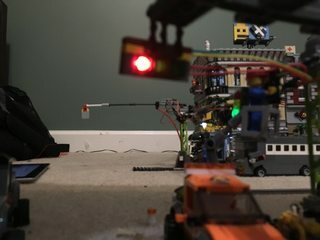 Due to a poke from Kerm on his latest stream, I decided to hunker down in my room for 3 hours and re-shoot a bunch of footage of my LEGO city that I chocked full of lights! I spent all day editing the video and I'm fairly pleased with it. It's a heck of a lot better than my [url=https://1drv.ms/v/s!Al_ZukYl7XyyhUs_xS8lZXvXV7Nr]old one[/url]. I've got a few things to change (ie improving some transitions and adding a credits screen), but this is what the main video should look like! Please tell me what you think of it! 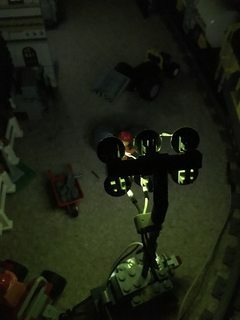 After shooting, I realized I forgot to light up one floor, but oh well, maybe you wont notice. I may make another video that features the design of the power grid and how everything works together. Whooaa!!! That's really cool, TheL!! I finished the video! I'm not too happy with the thumbnail, but it's the best I could come up with. I've added the video to the first post of this thread! Another Christmas, another LEGO set. 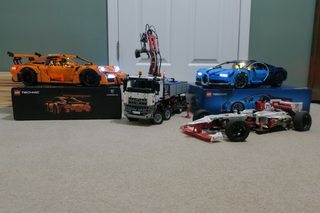 This year I received the LEGO Bugatti Chiron set! Note: This is in USA dollars; time is only measuring active build time, not breaks or sleep. 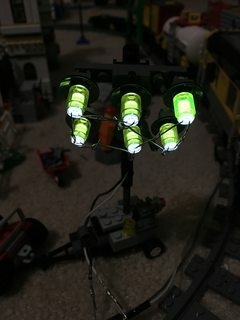 This took me the most time to build any LEGO set, but the final result looks spectacular, especially after I installed the Lightailing custom light kit! I've got a full album of pictures here on Imgur but I've posted some of my favorite images. 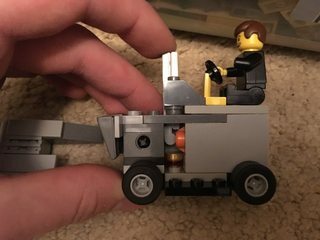 Compared to the Porsche set I got last year, this one was a bit less complex internally. 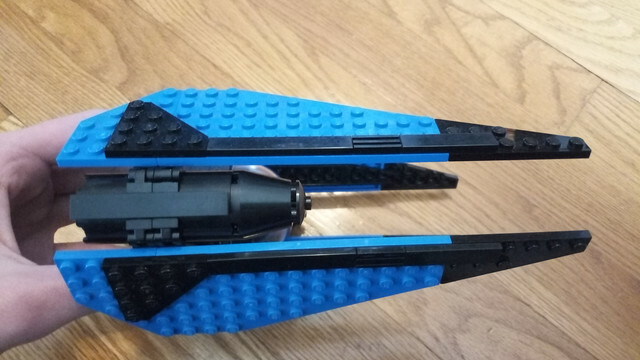 The LEGO group seems to have optimized the paddle shift feature so it doesn't take up nearly as much space. But the outside was a lot more complex to do, it was quite a challenge making everything fit together and look good. I had trouble with that since I would occasionally accidental miss key steps in the instruction manual. 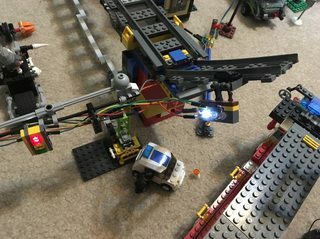 The wiring was so simple it even still works with my draw bridge track design! 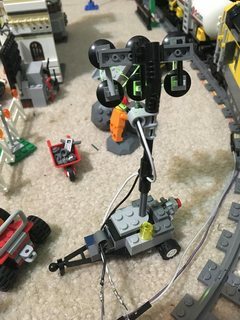 I have a ton of Legos, but most of them are all taken apart . 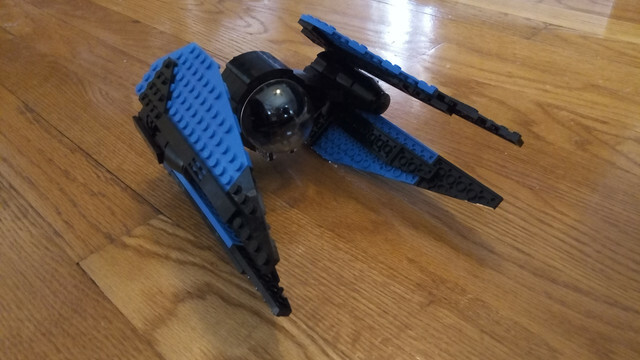 I do like to make Star Wars MOCs though. 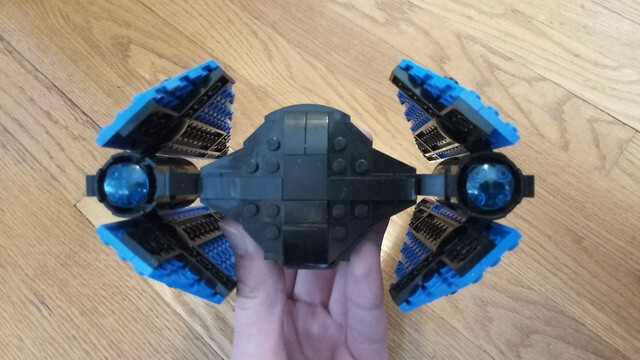 I'll probably post some other MOCs as I make them. Wow that looks really cool Jeffitus! I like the blue plates, great job recreating it! 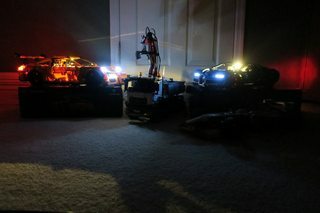 Here's a project I did a long time ago, it utilizes the winch brick as a wind-up 'motor'. 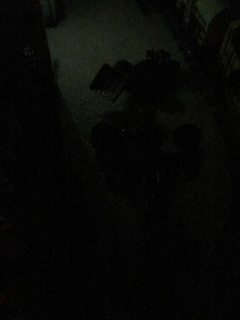 © Copyright 2000-2019 Cemetech & Christopher Mitchell :: Page Execution Time: 0.131220 seconds.